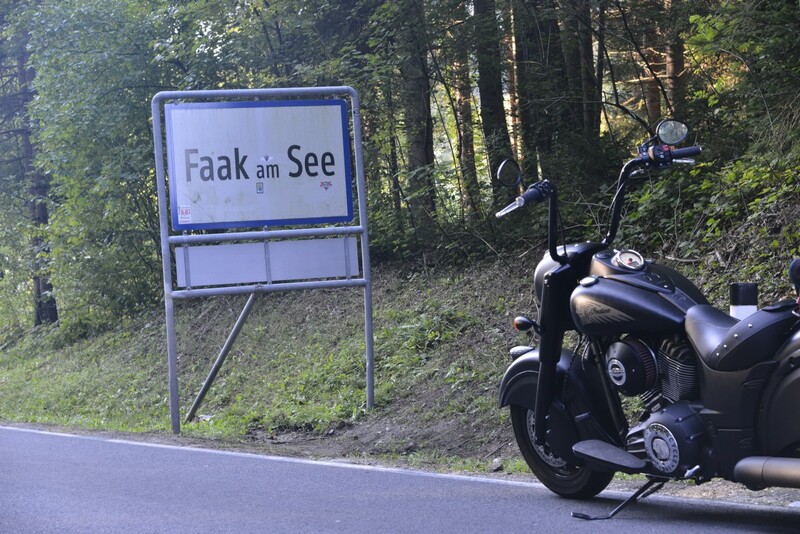 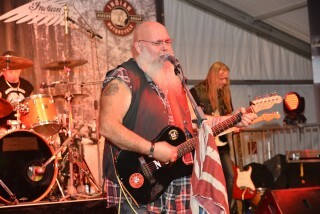 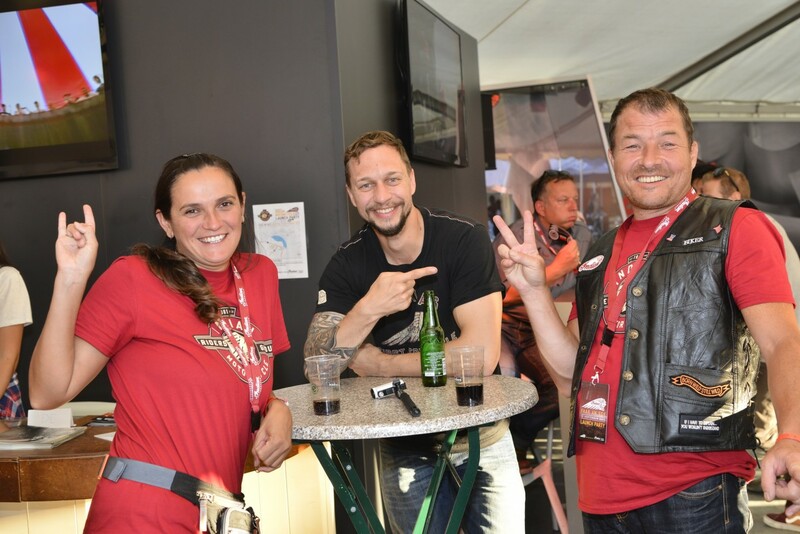 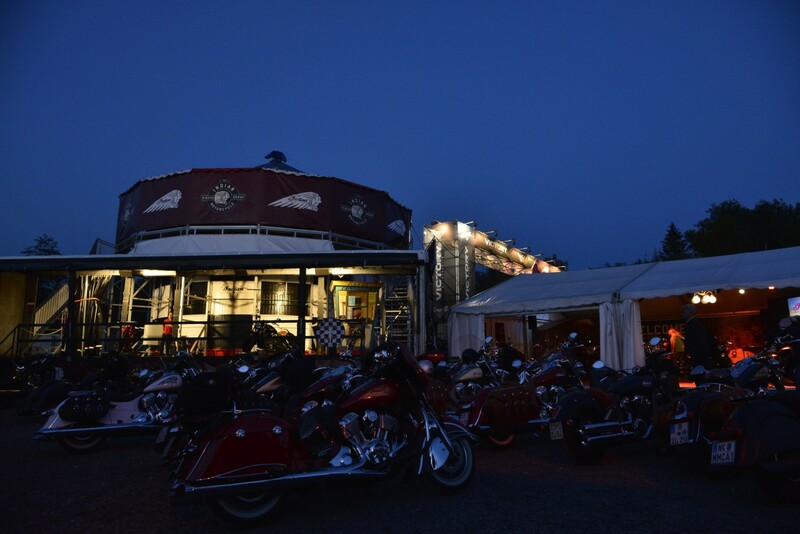 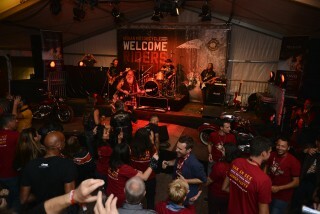 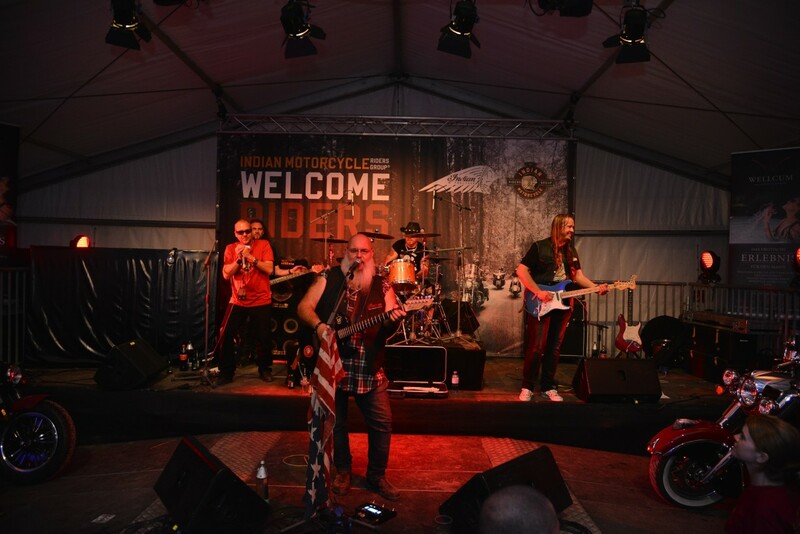 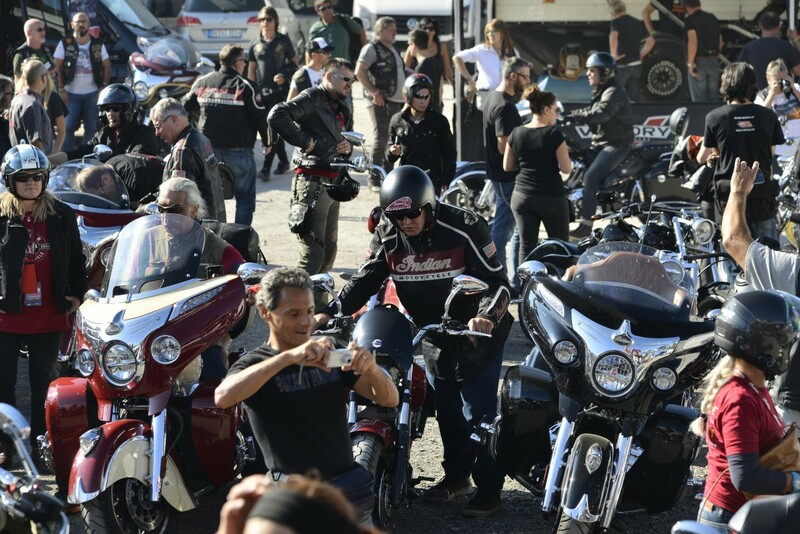 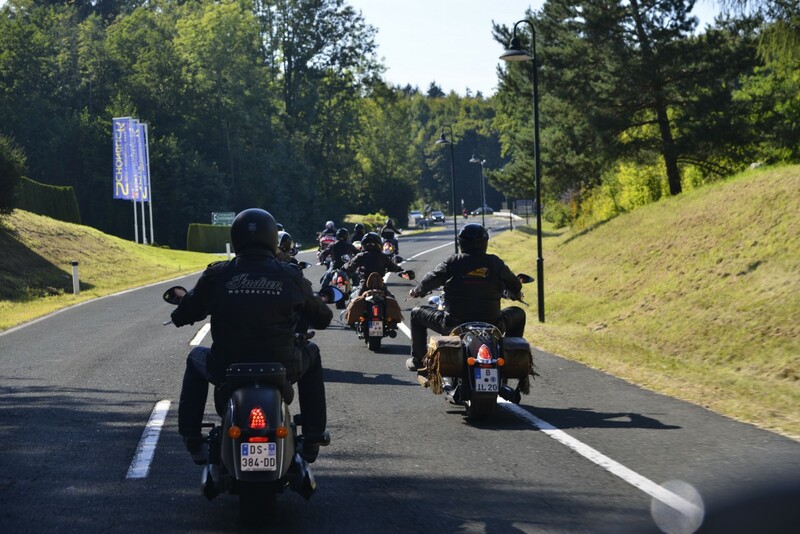 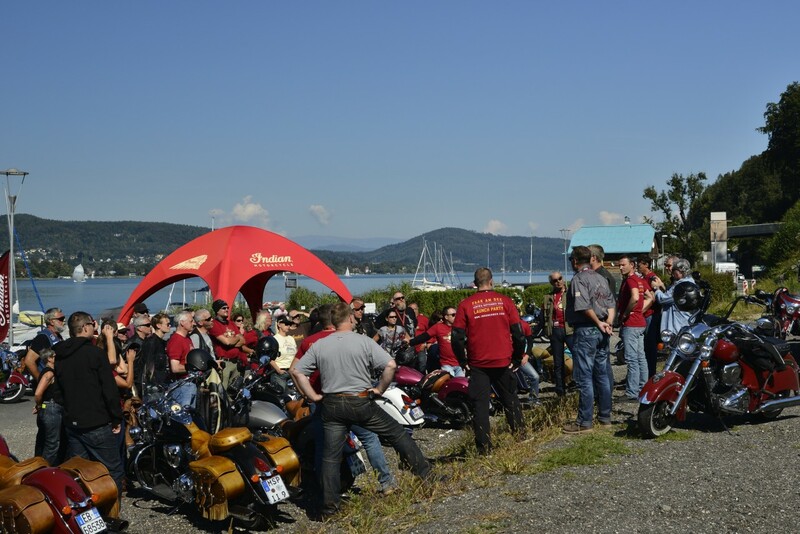 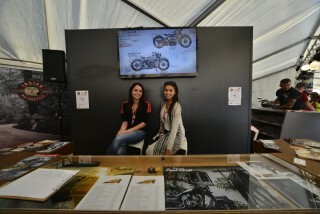 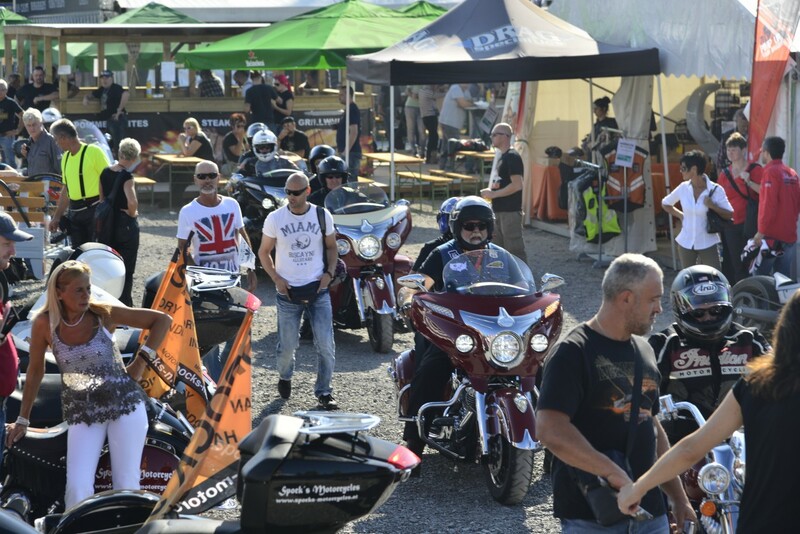 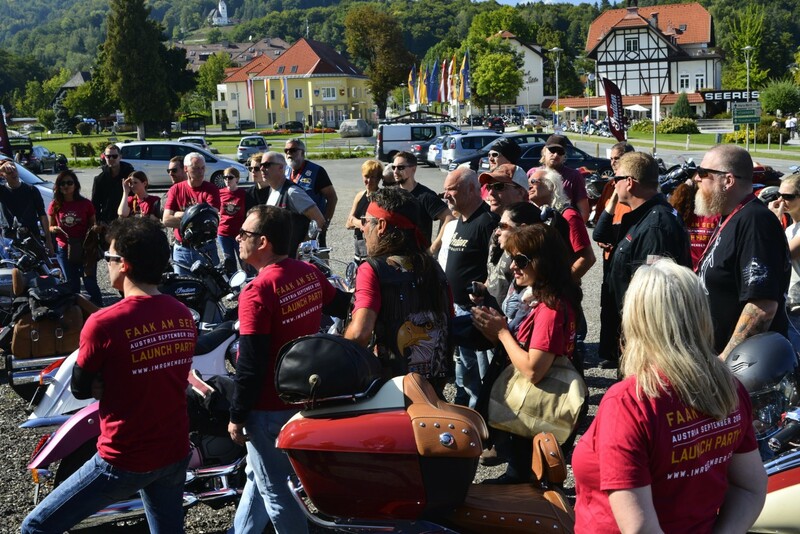 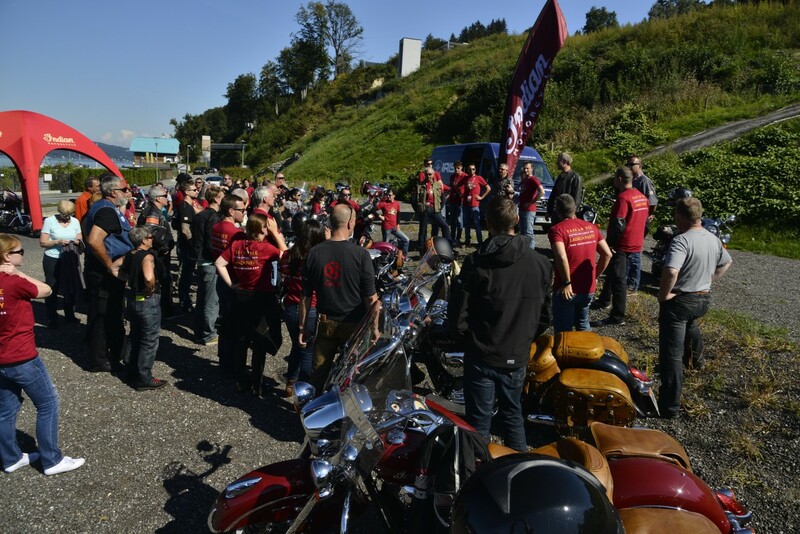 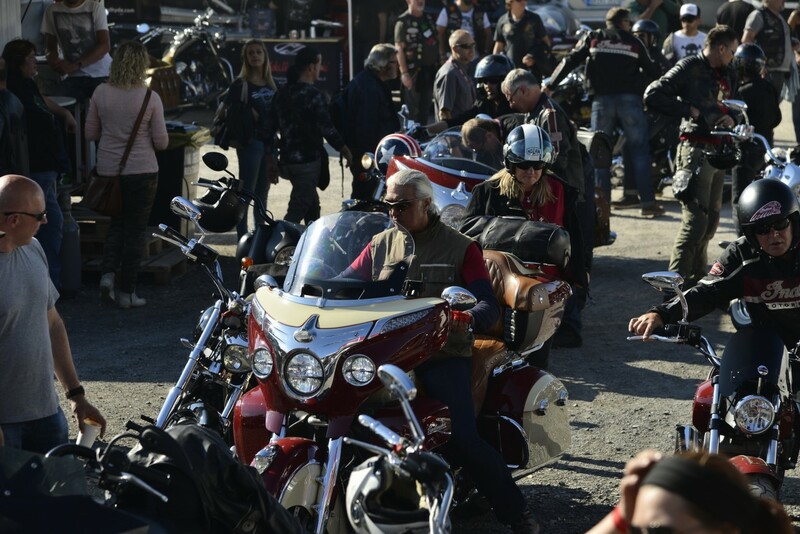 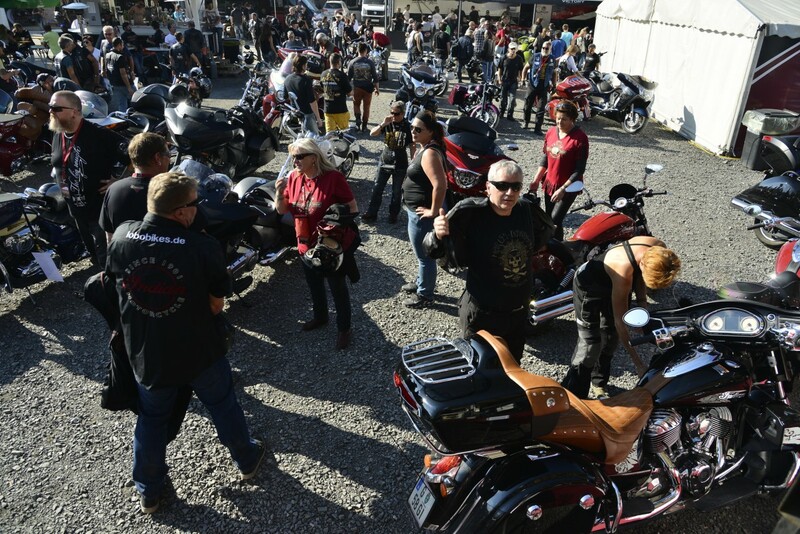 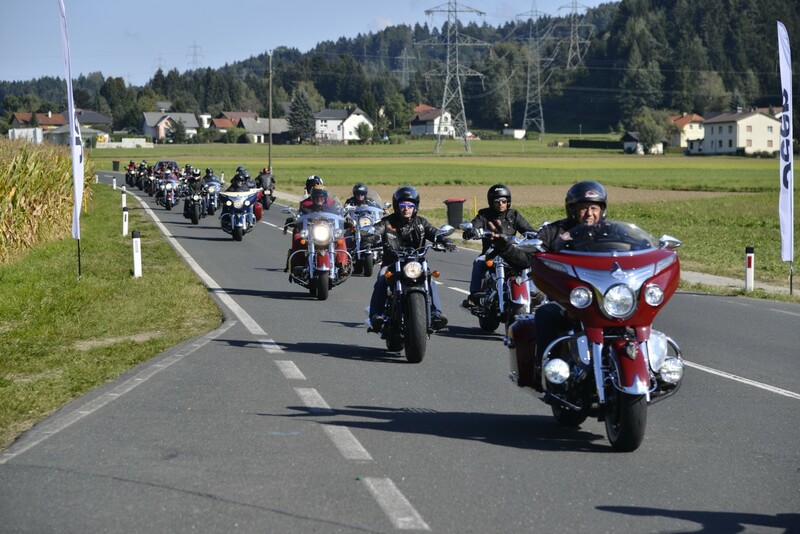 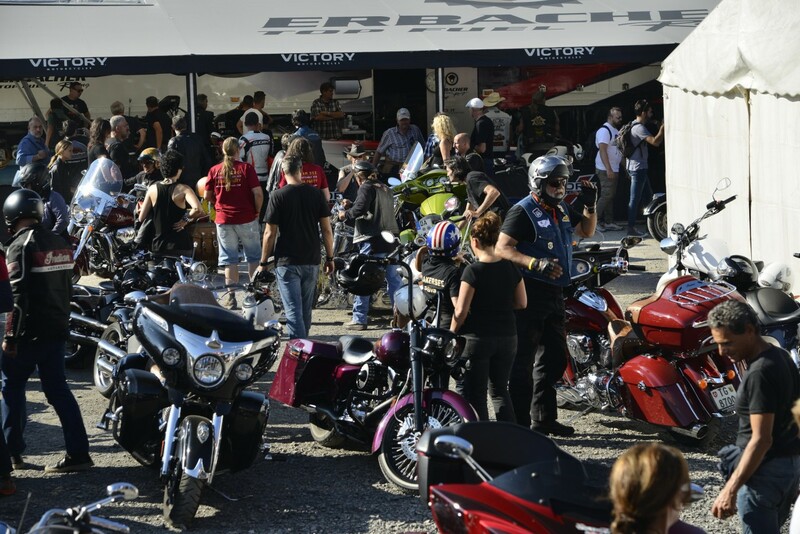 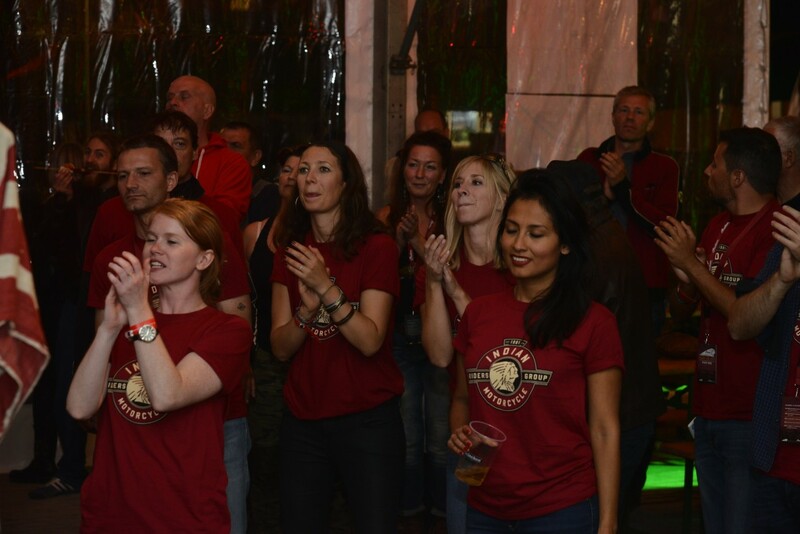 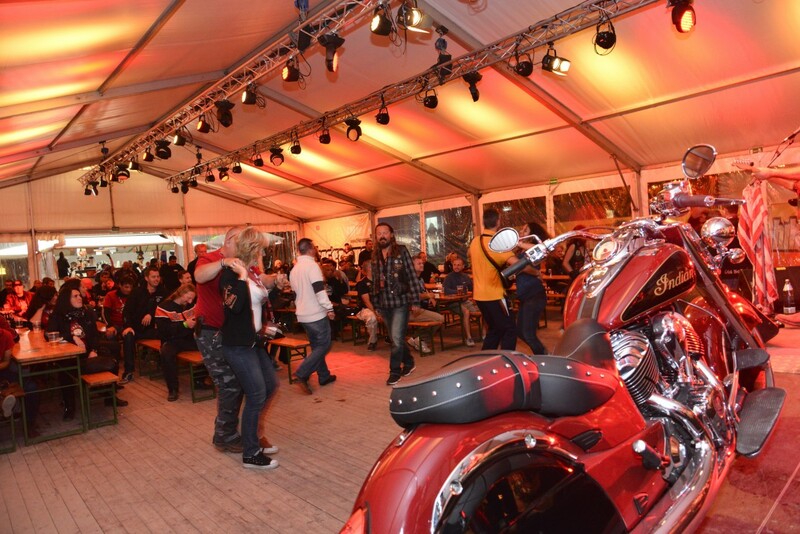 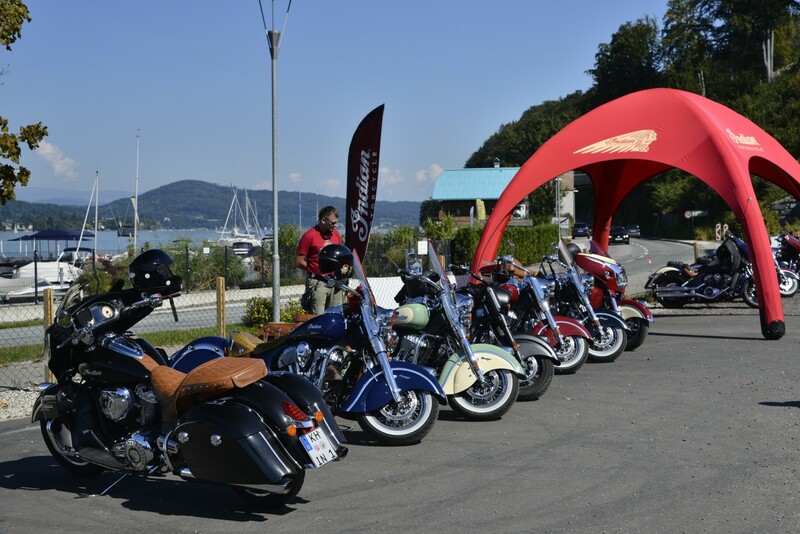 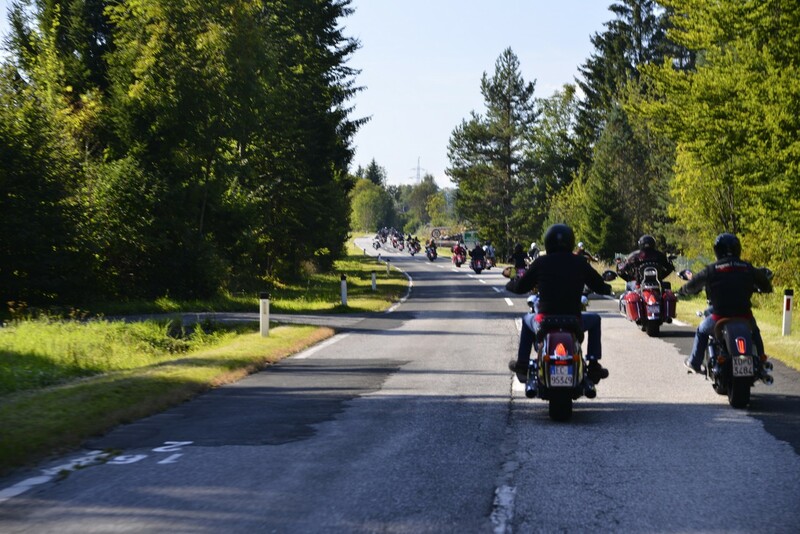 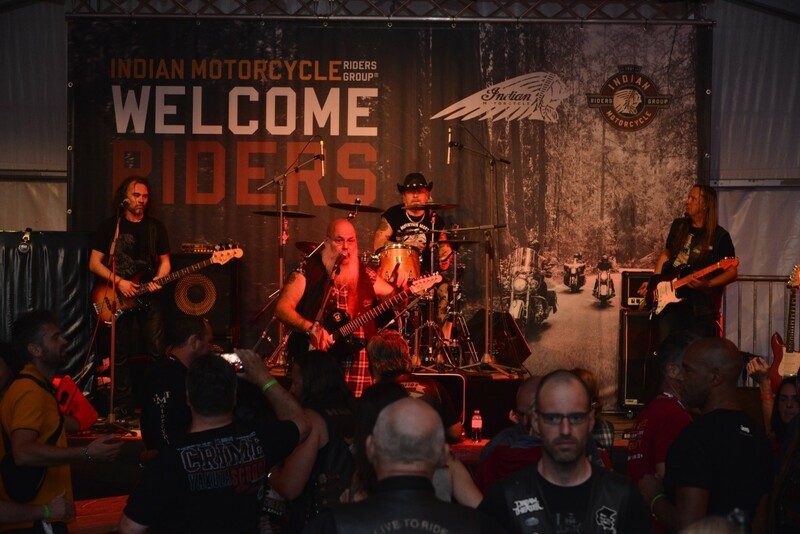 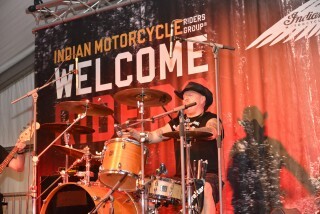 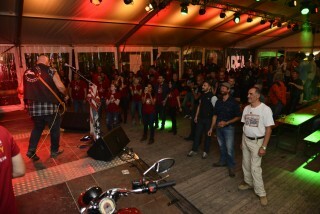 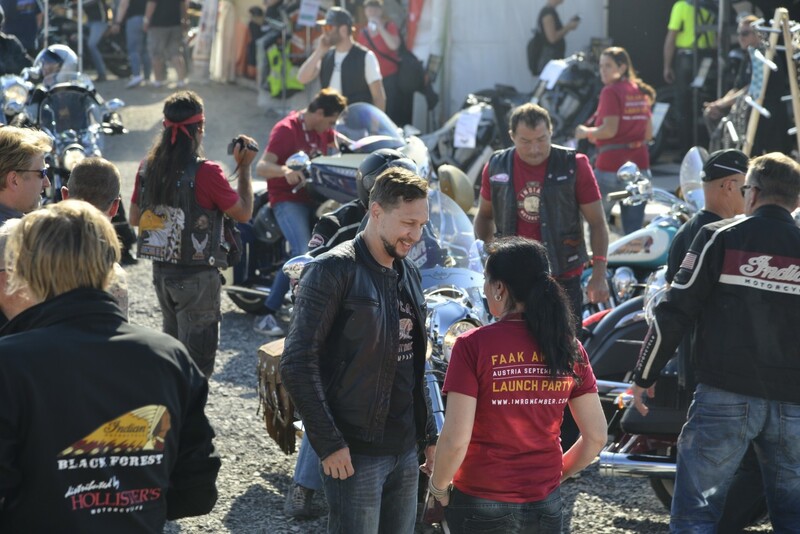 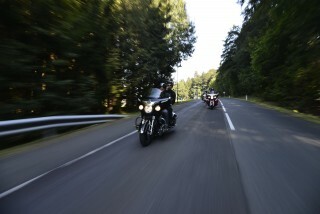 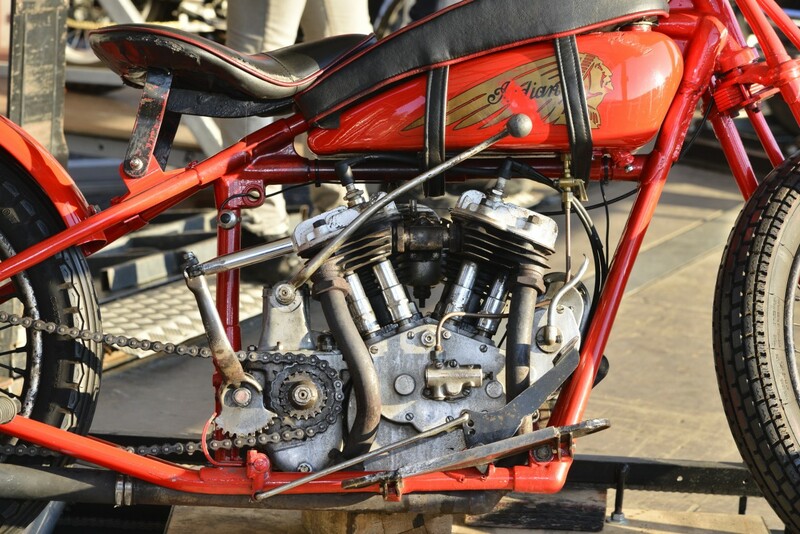 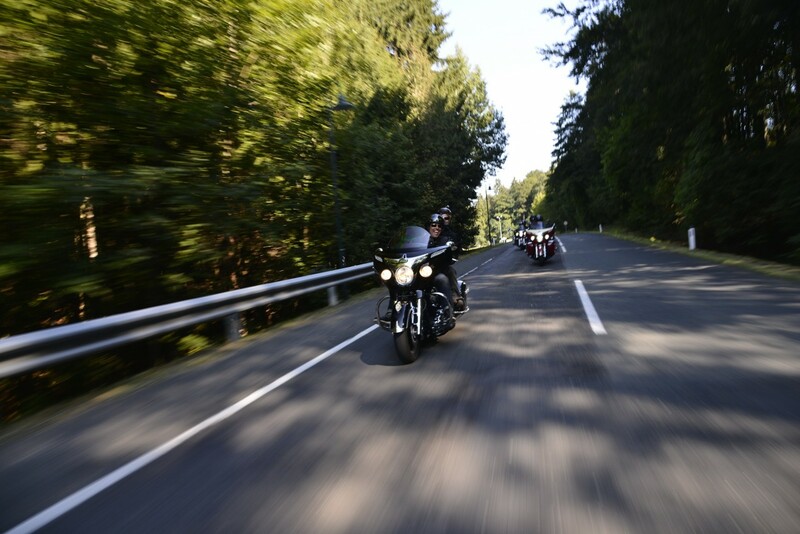 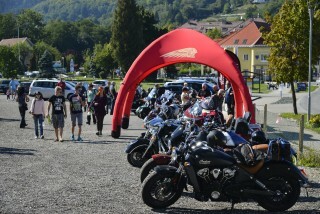 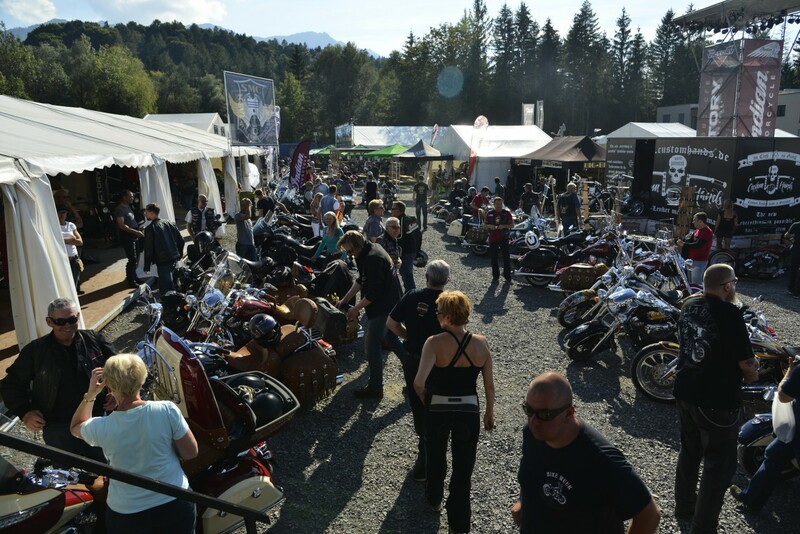 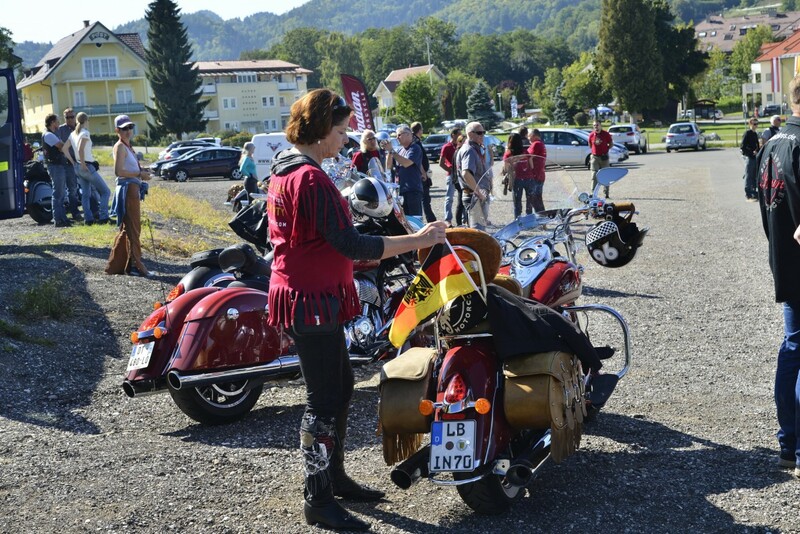 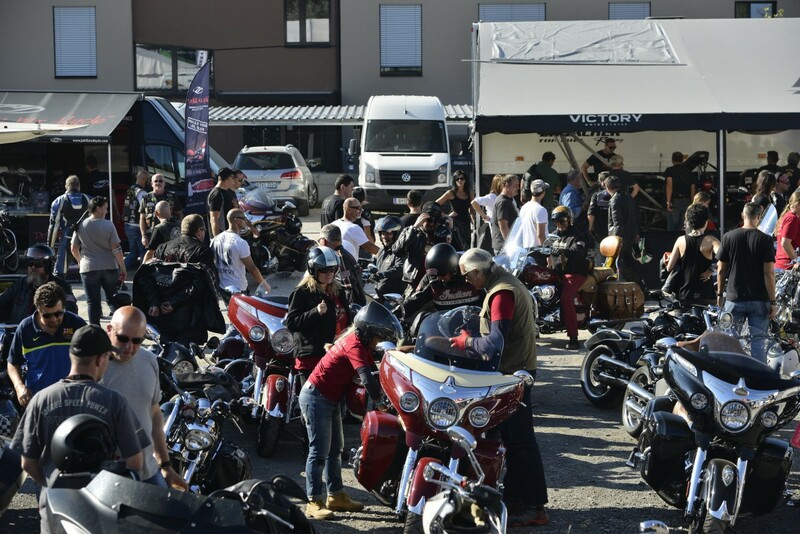 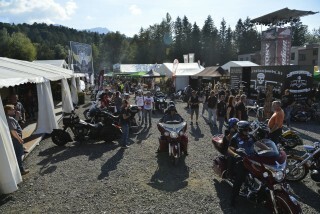 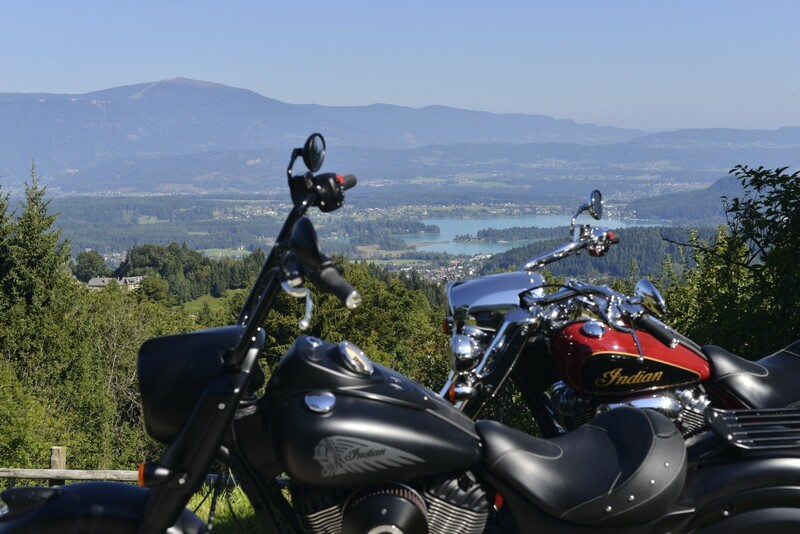 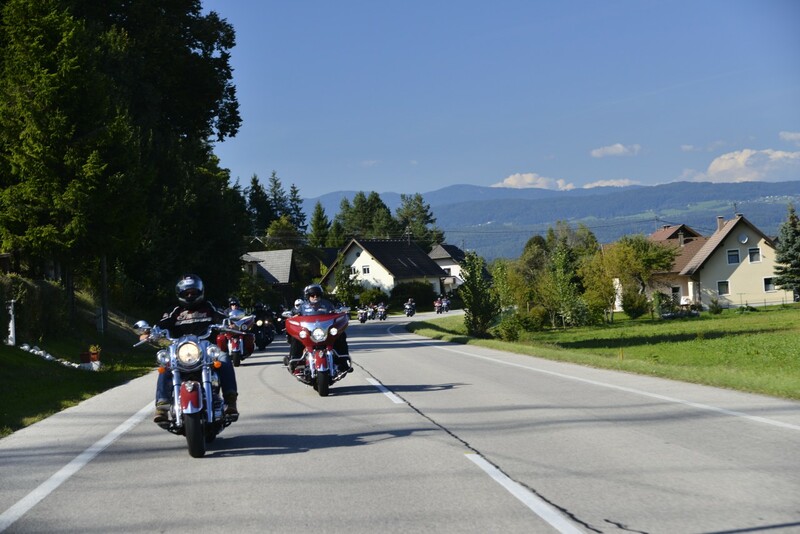 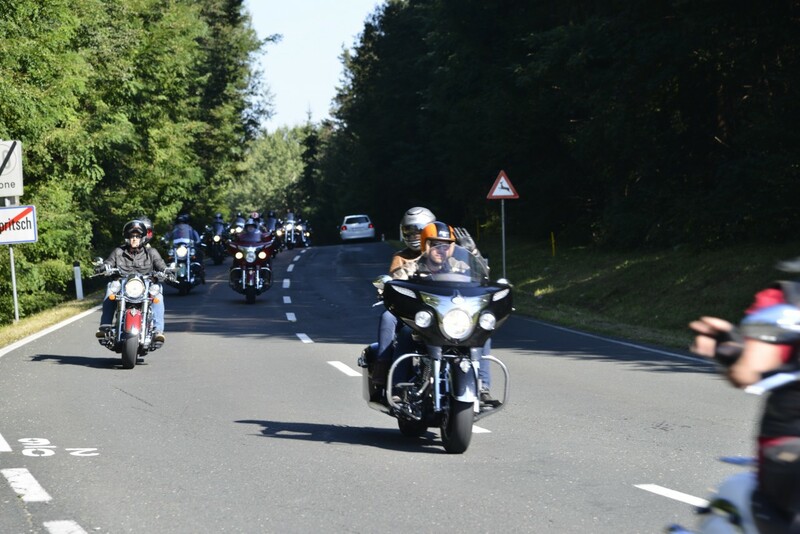 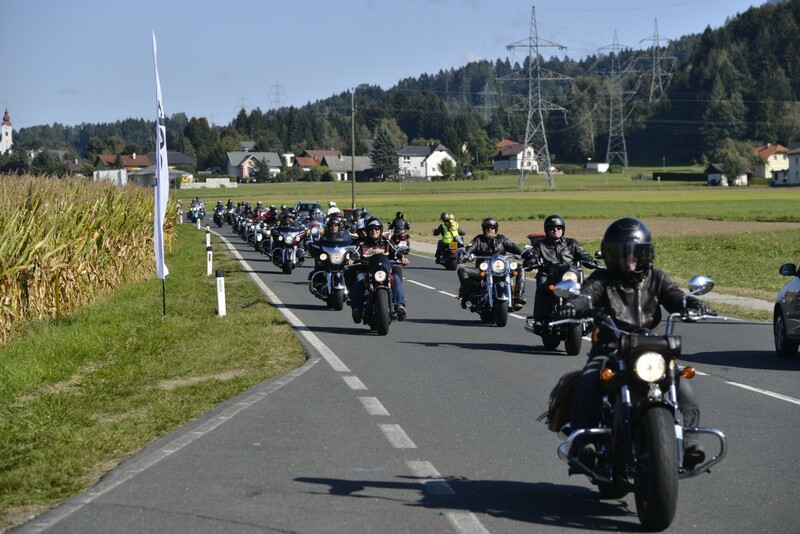 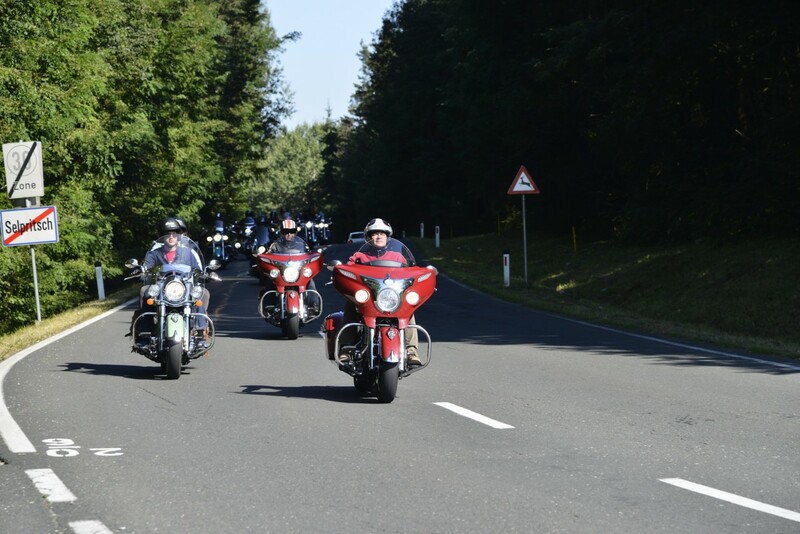 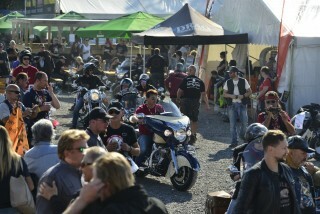 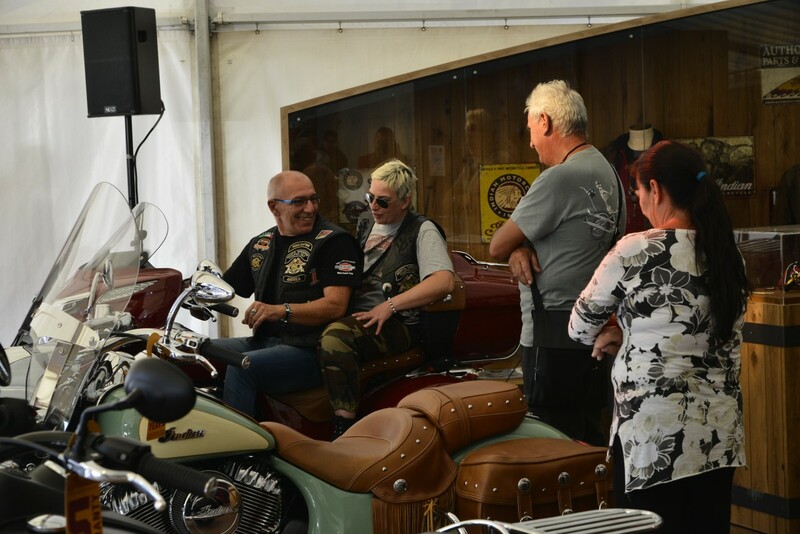 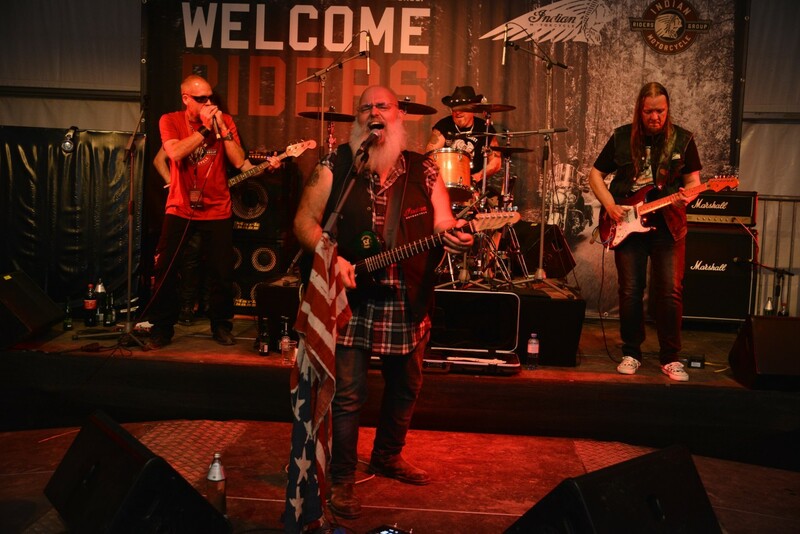 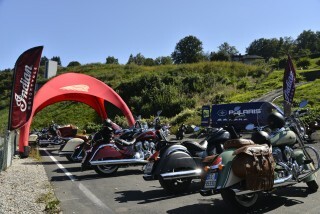 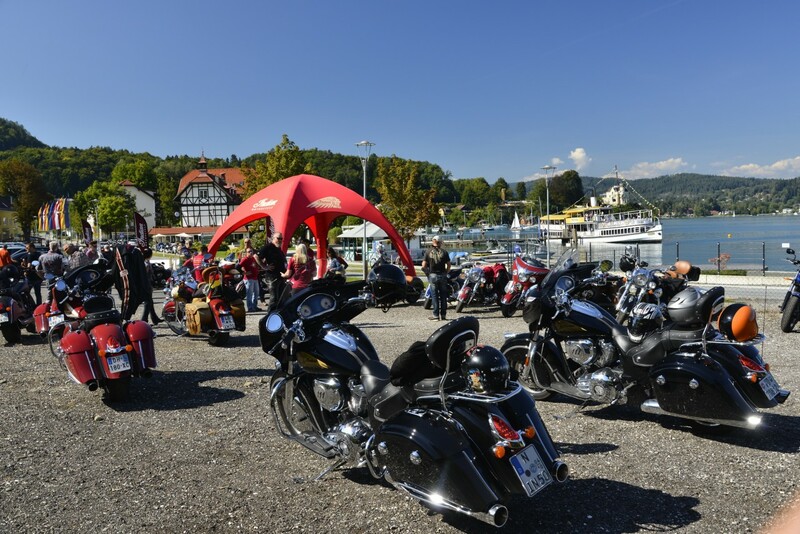 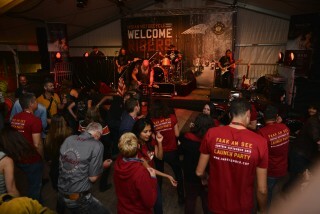 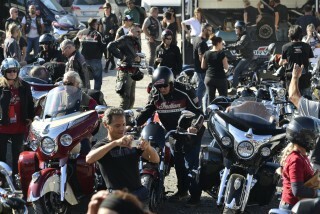 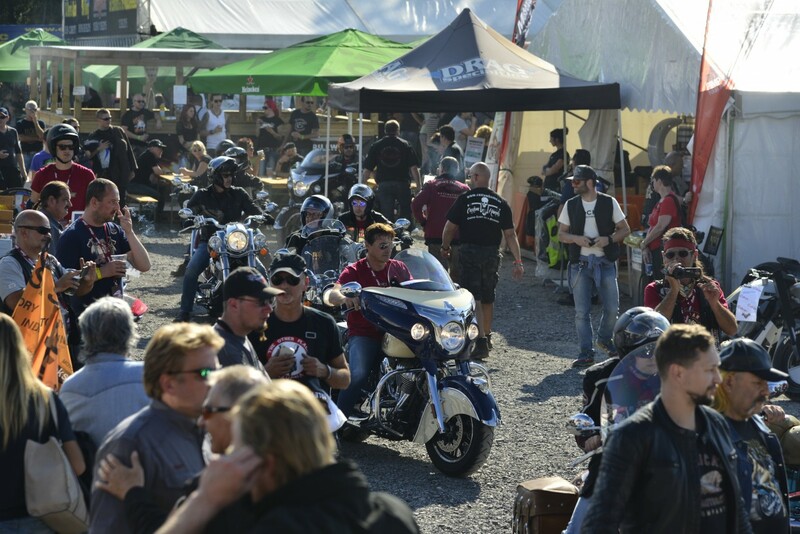 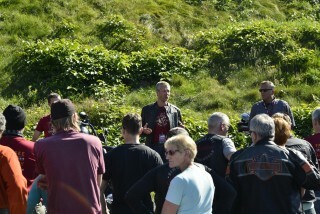 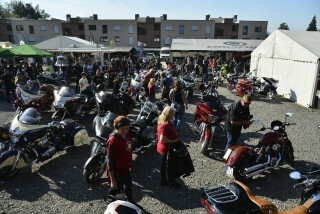 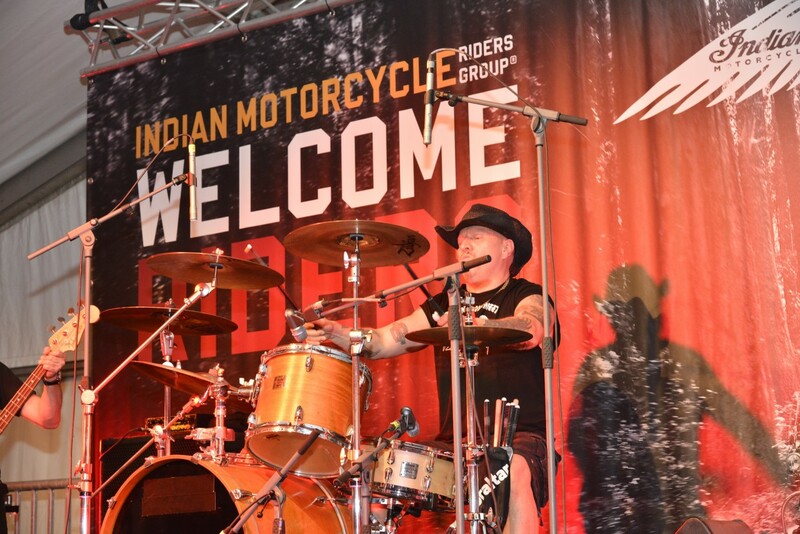 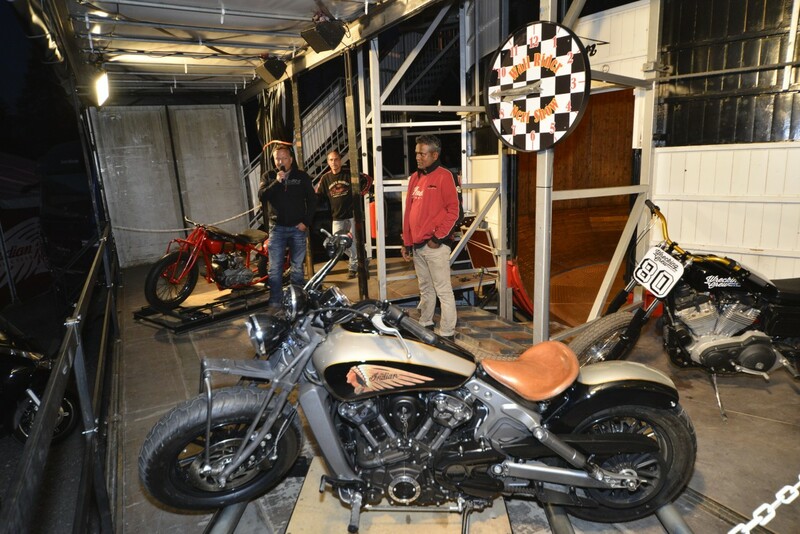 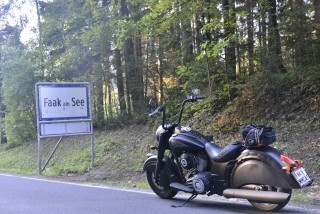 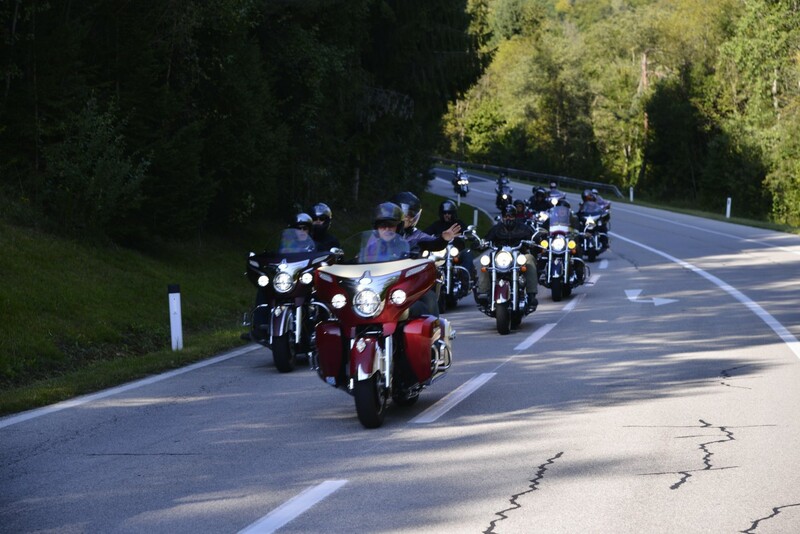 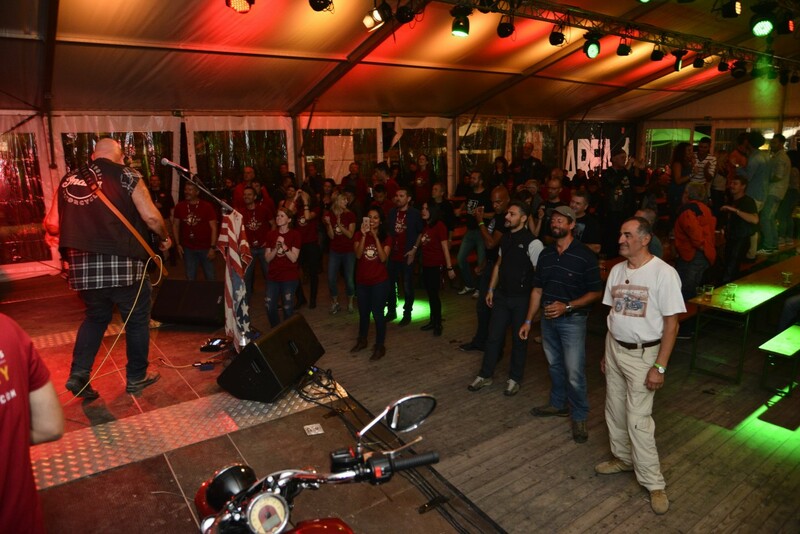 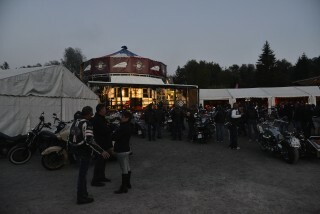 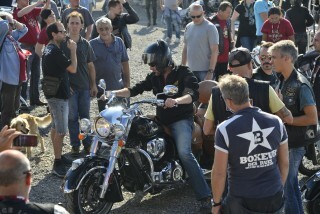 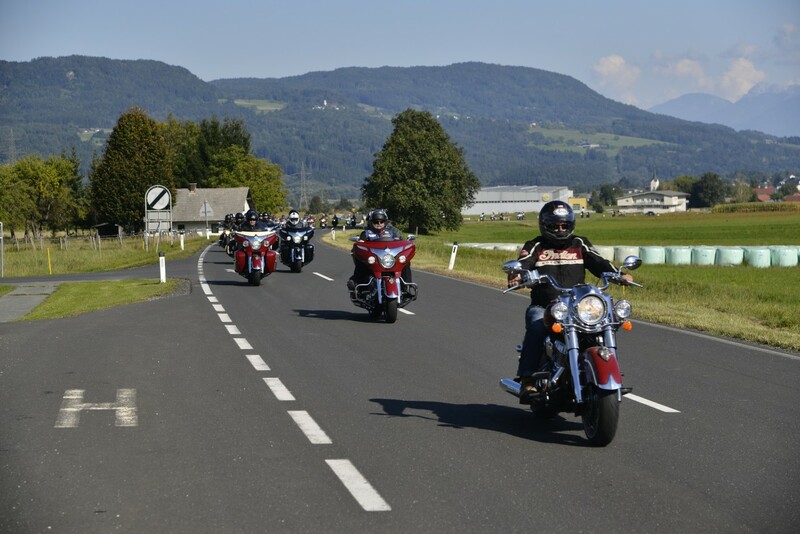 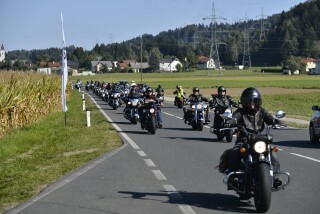 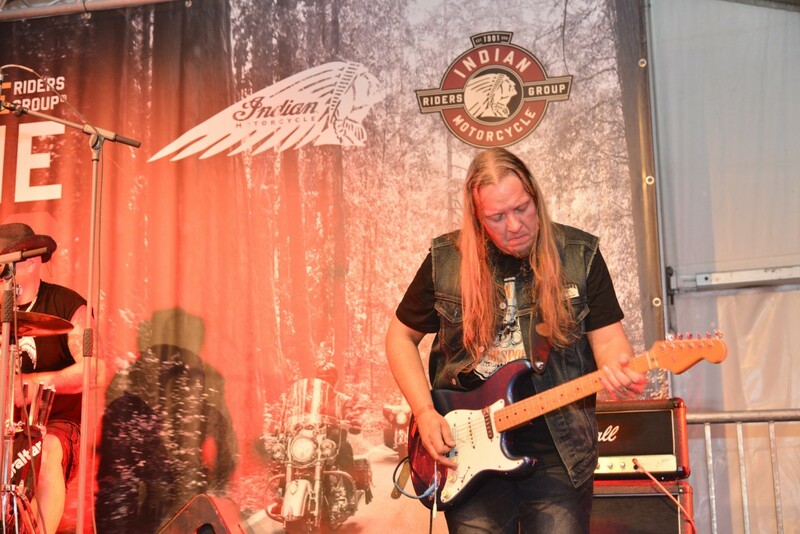 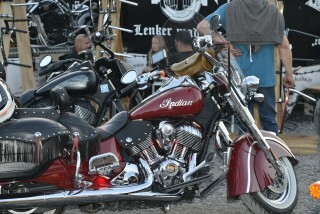 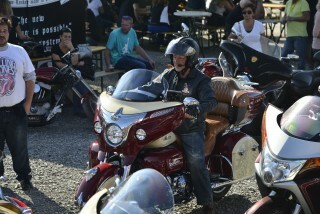 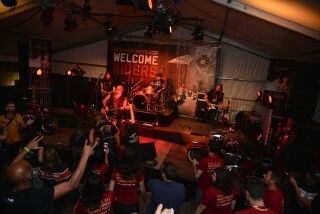 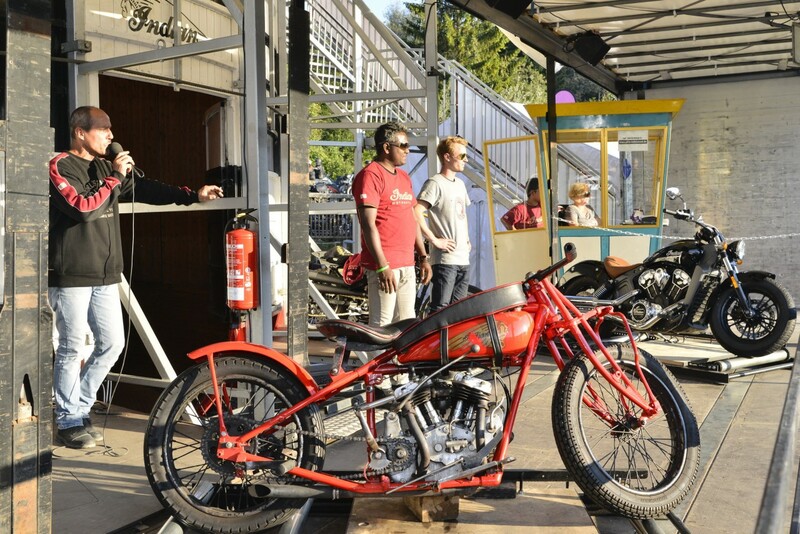 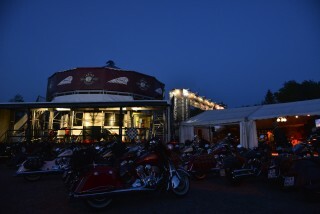 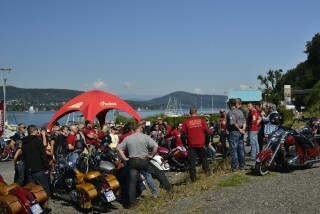 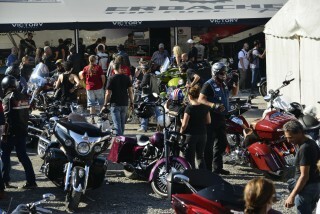 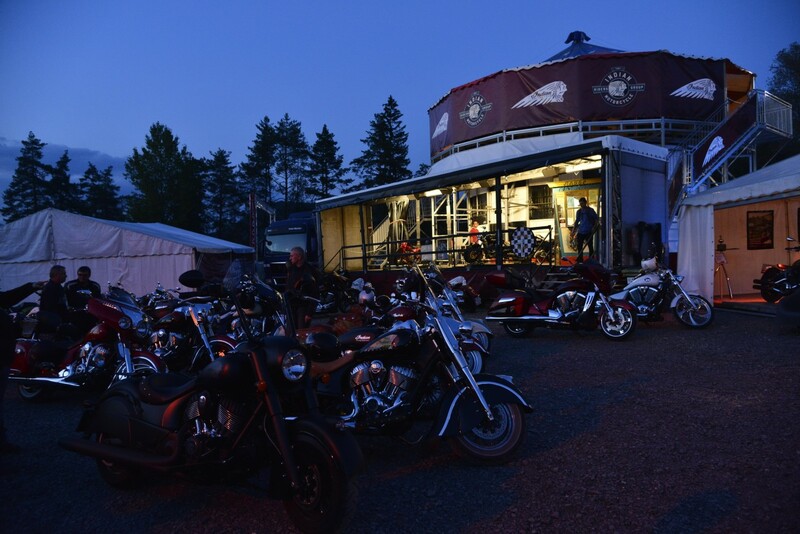 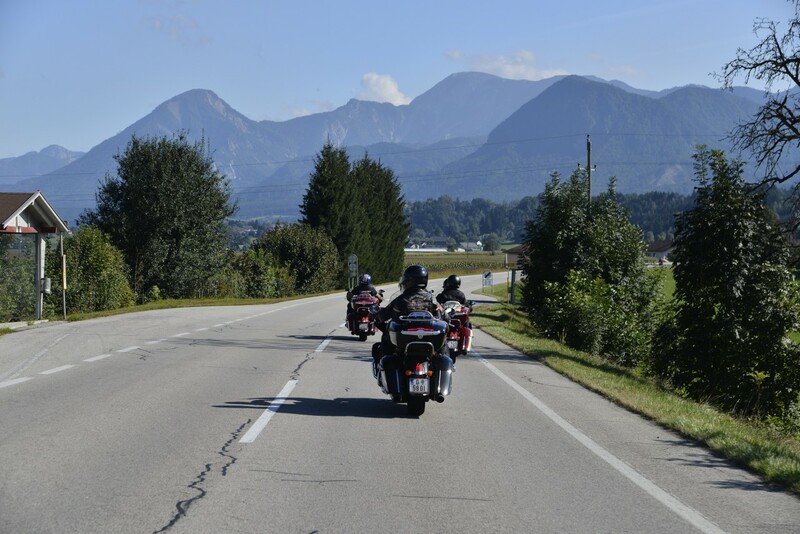 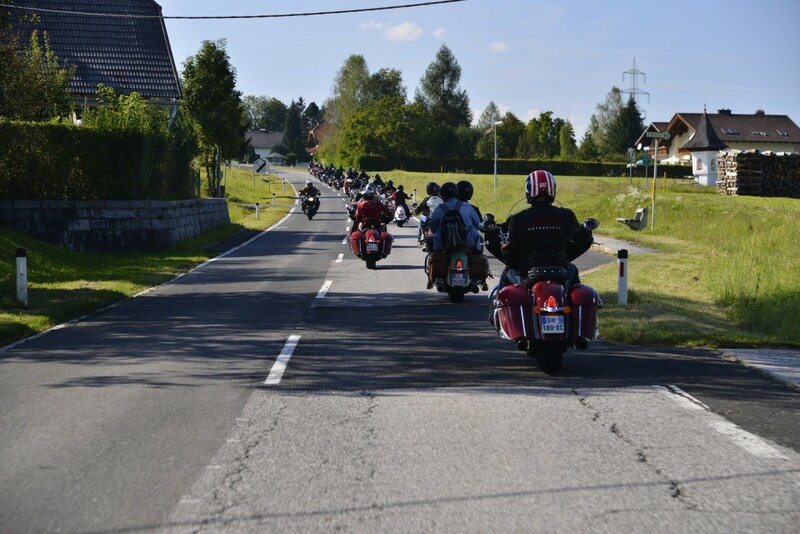 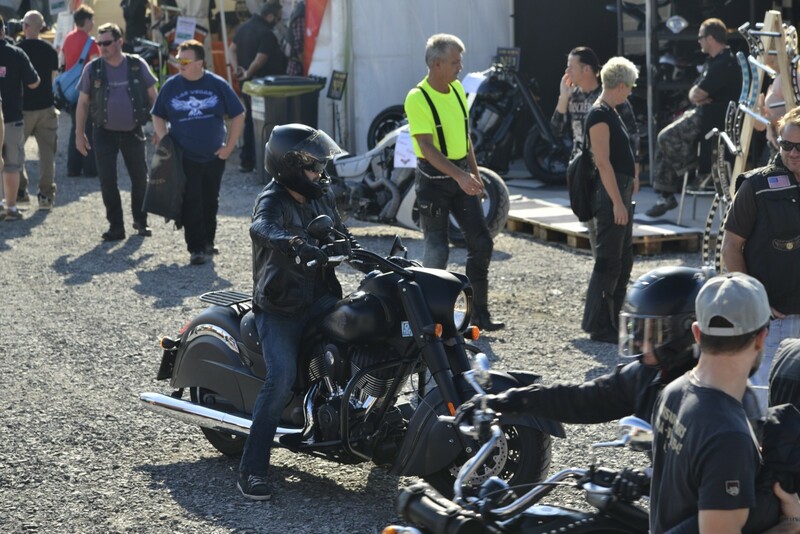 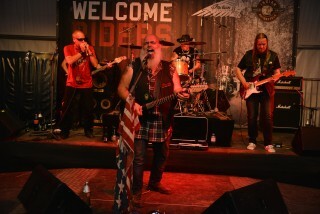 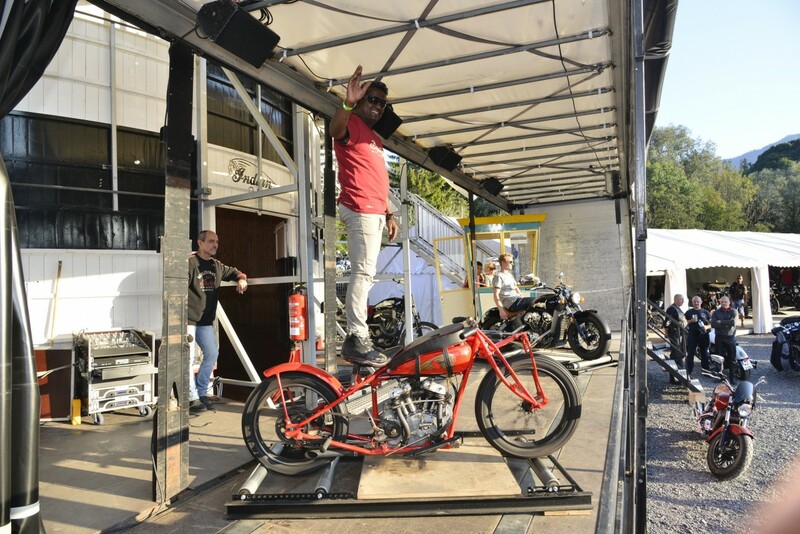 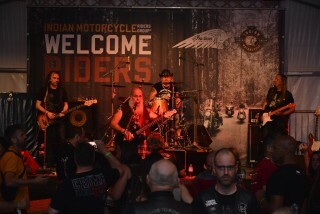 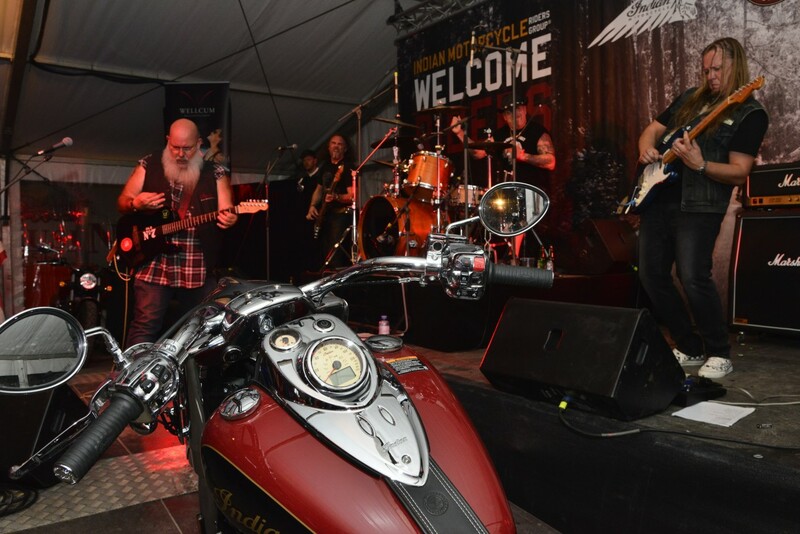 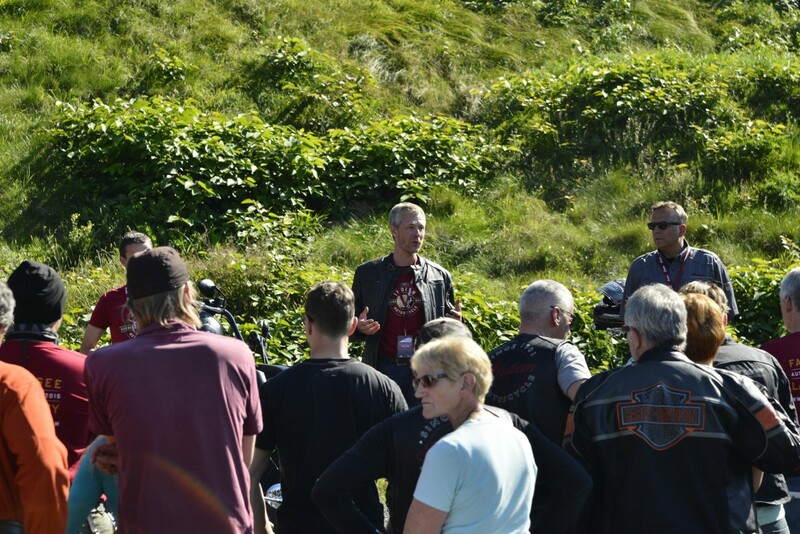 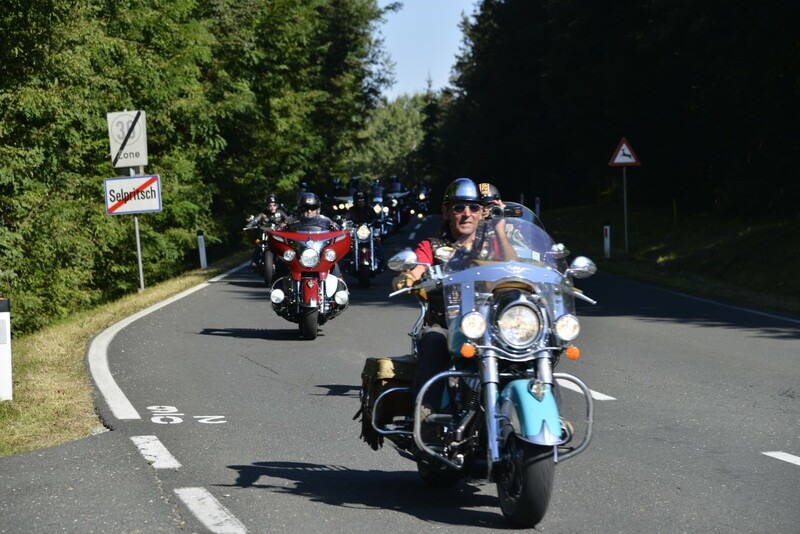 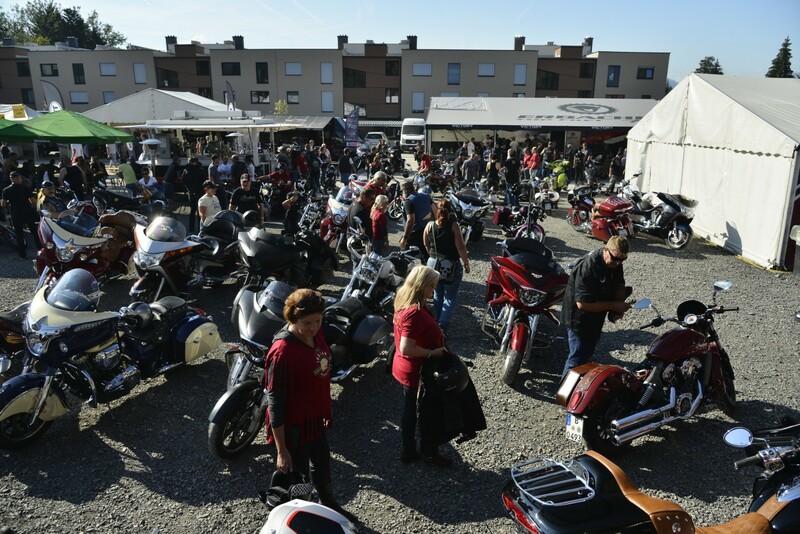 Hundreds of Indian Motorcycle owners partied at Faak Am See over the weekend to celebrate the launch of the Indian Motorcycle Riders Group (IMRG) in Europe. 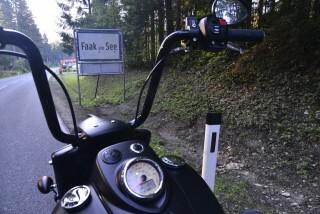 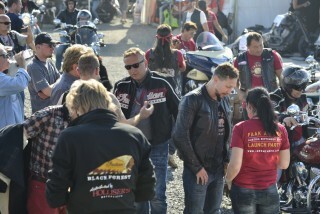 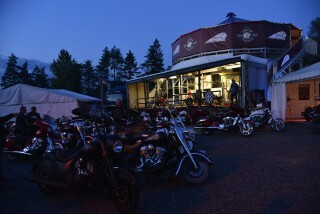 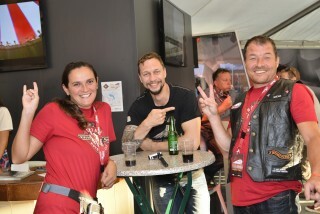 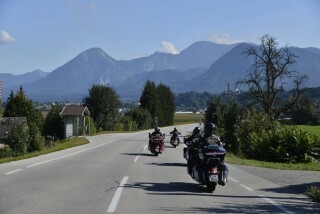 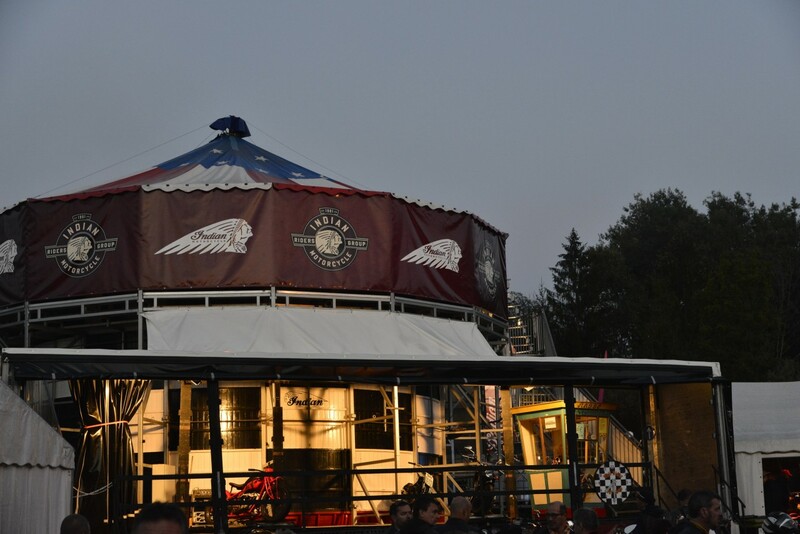 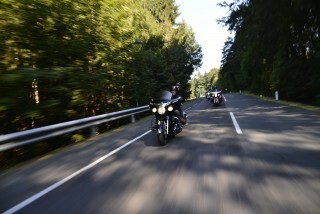 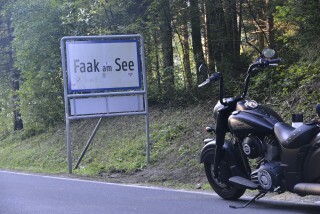 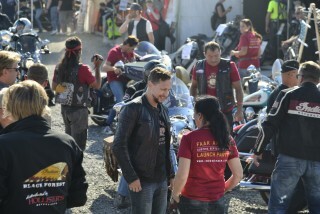 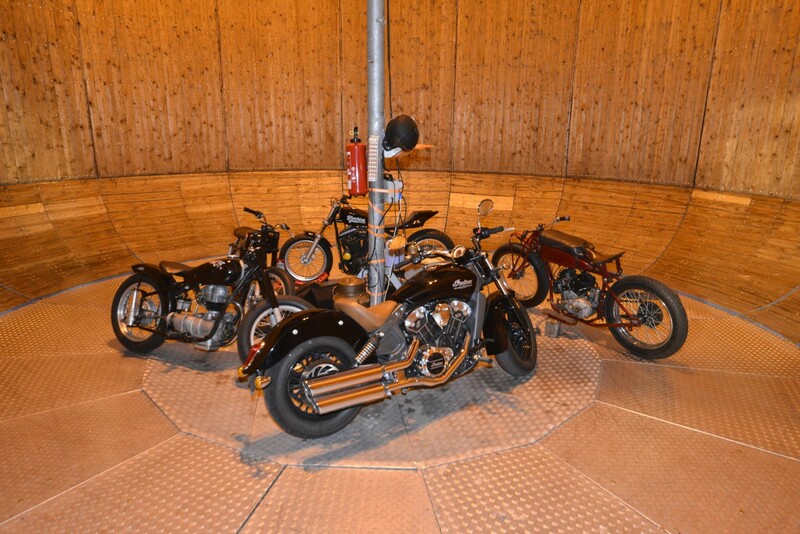 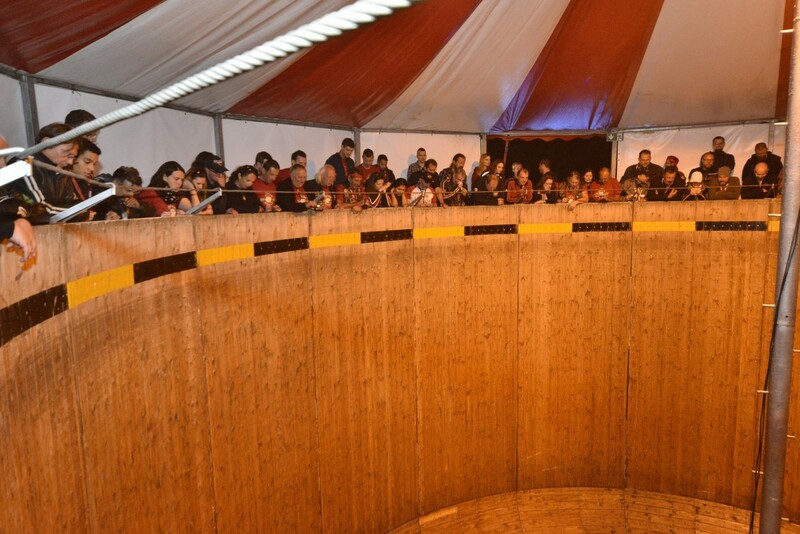 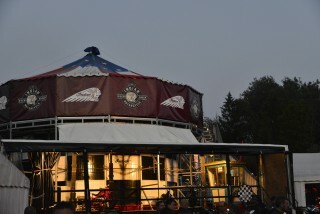 IMRG members arrived at Faak Am See during Friday and Saturday morning ahead of a private Wall of Death Show and special concert held on the Saturday night. 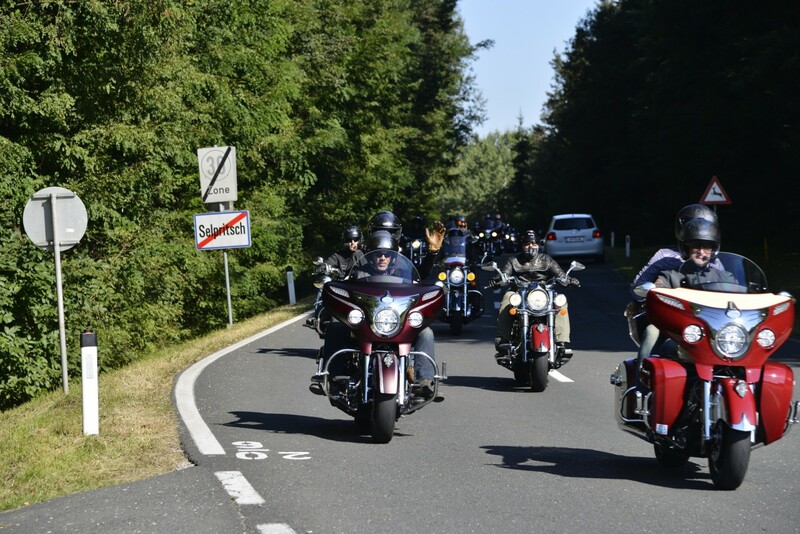 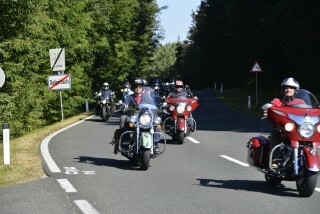 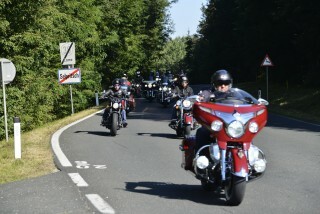 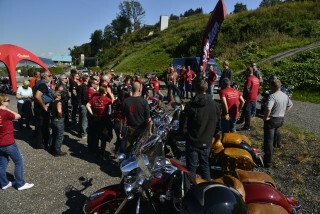 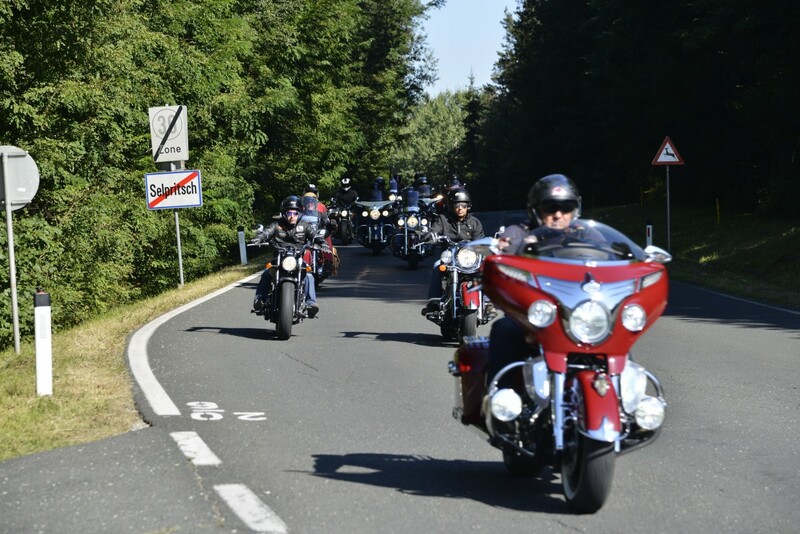 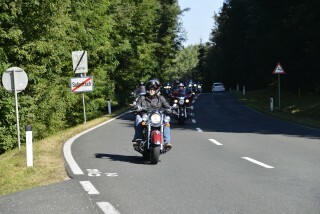 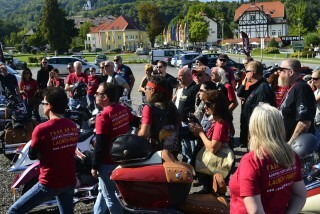 During the Saturday afternoon riders met at the Stein Golf in Reifnitz, an hour’s ride from Faak Am See, before setting off together for a communal ride in to the event. 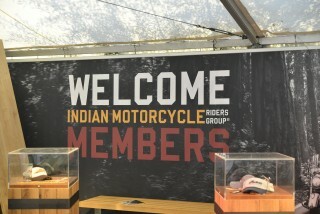 On arrival, the IMRG members were hosted by Indian Motorcycle and then throughout the afternoon they could look at the new MY16 model line-up, enjoy a welcome drink and get to know other IMRG members from different countries. 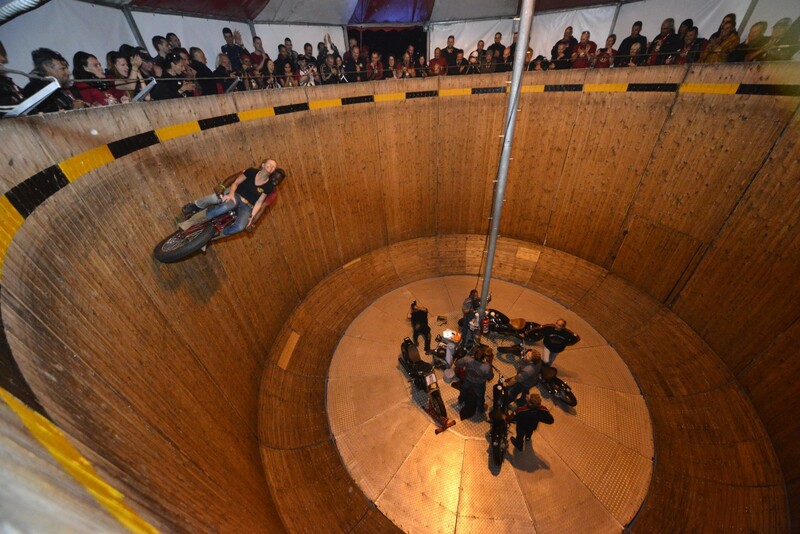 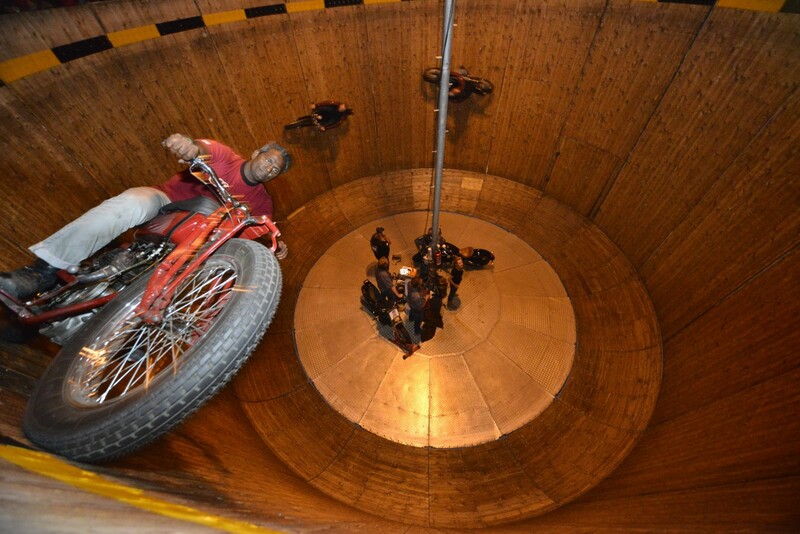 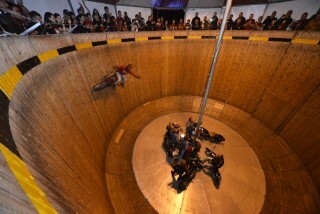 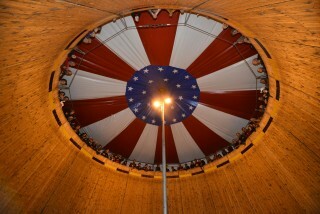 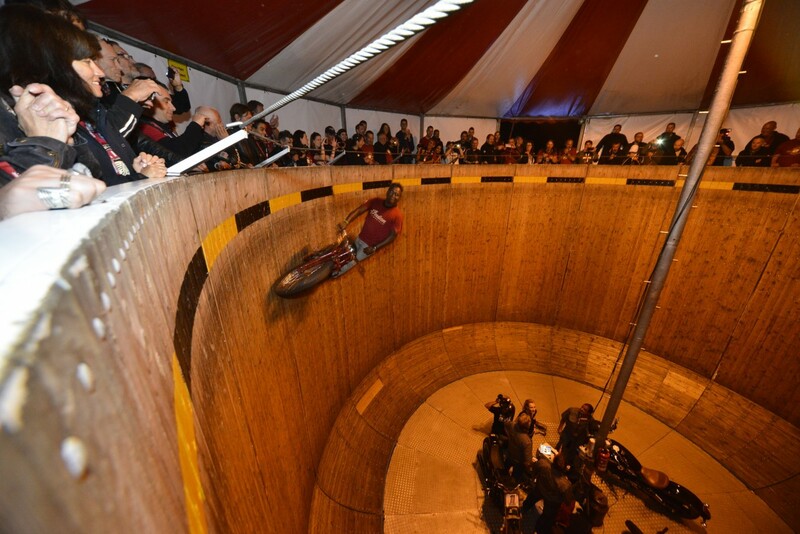 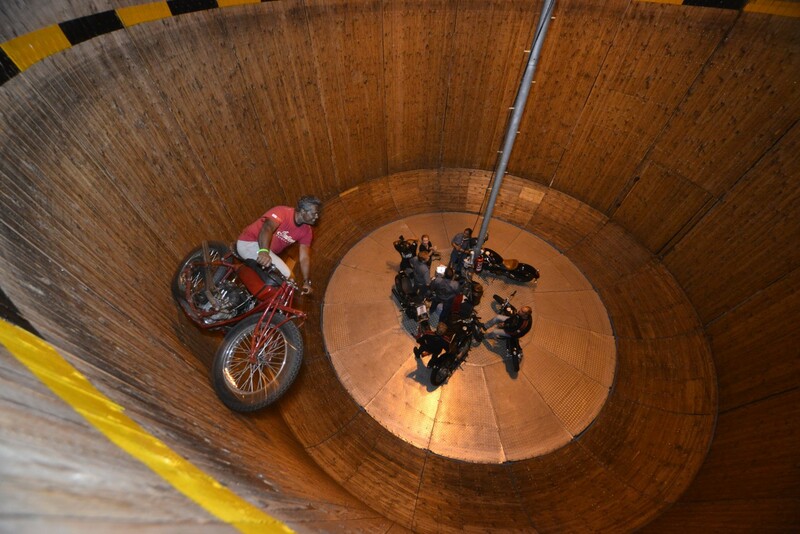 Come the evening, the IMRG members were treated to a private Wall of Death Show which was kicked off by the crew riding a standard production Scout around the wall. 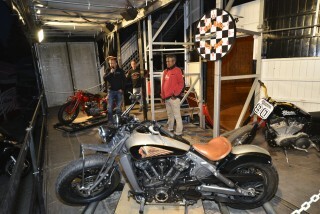 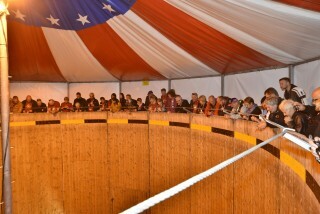 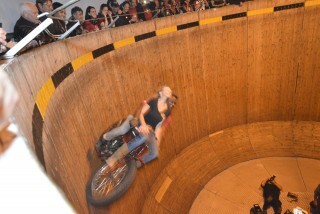 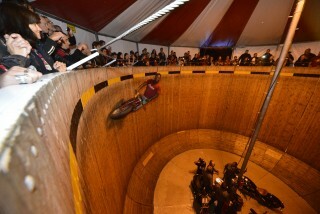 A female member of the IMRG (Iris Gerlach from Germany) was then invited to ride on one of the bikes giving her a taste of what it’s like to whizz around inside the Wall of Death. 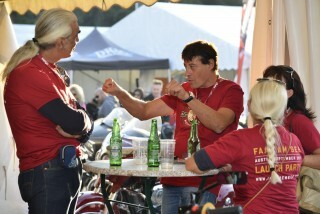 Dario says that going forward there will be an annual party especially for IMRG members. 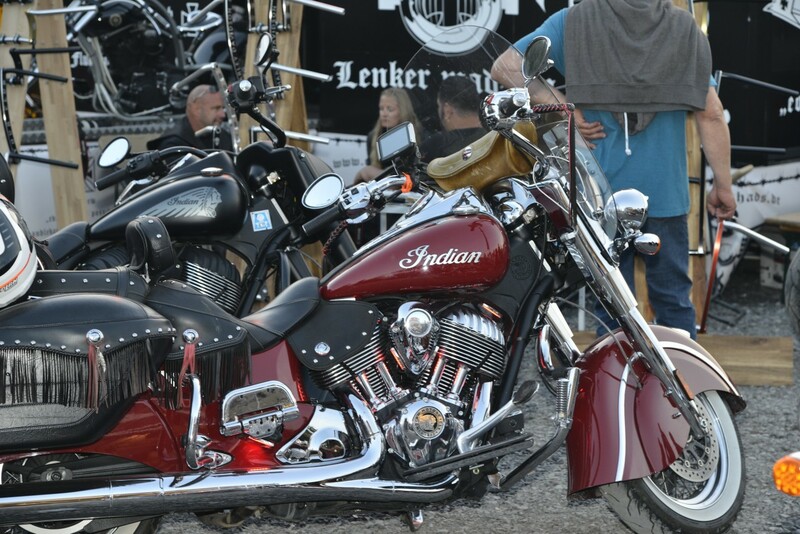 In the meantime, Indian Motorcycle owners wishing to join the IMRG can do so by speaking to their local Indian Motorcycle dealership.